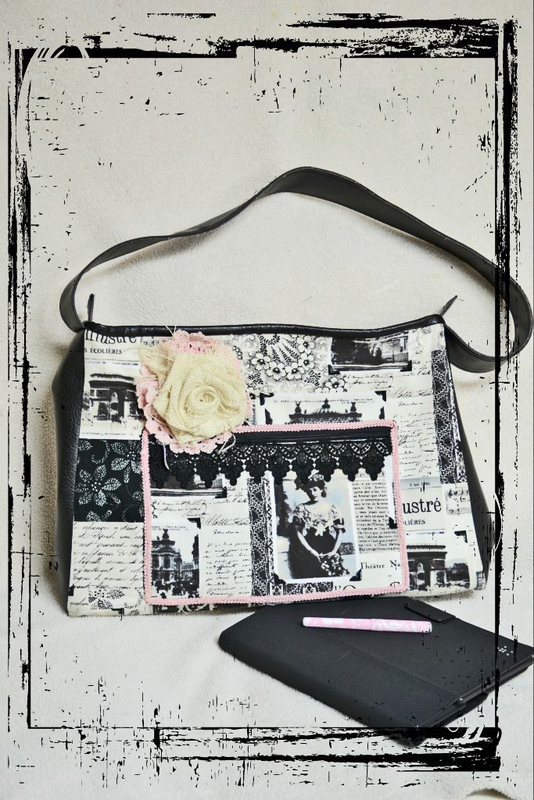 This is the newest Dancin' Daisy Designs Bag. There are inside pockets large enough to hold files or customize them for your own needs, and a large outside pocket with and easy-to-install zipper. It zips closed with another easy-to-install zipper. I have included the rolled rose pattern also.